It’s as predictable as a Fox News hissy-fit: every January I find myself with un-reviewed CDs about the time I need to crank it up for spring semester. So here are several capsule reviews of music you might want to check out. 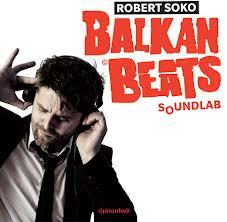 Bosnian mix master Robert Soko serves up a smoking selection of dance tunes for younger hearts and legs than mine. Normal disco music is around 120 beats per minute, but I’d swear some of these are closer to 180! And the music–where Balkan sounds-meet-dance hall-meet punk-meets jug bands–is far cooler than the generic sounds associated with look-at-me discos. This is music that by turns, crunches, jazzes, rocks, and sweats. If Soko wears you out and you feel the need for something more traditional, these two Irish vets offer a baker’s dozen collection of tunes performed on instruments that tickle two different sets of keys: button accordion and piano. 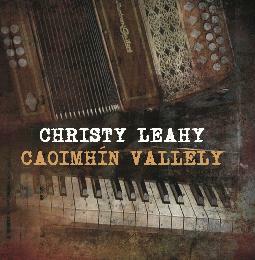 Leahy and Vallely have been colleagues in the raucous pub band North Cregg, but here they offer solid sessions-style jigs, reels, and polkas that’s more toe-tapping music than the full-body fling necessary for keeping up with Soko. You can almost smell the turf fire on this intimate, but highly accomplished album. 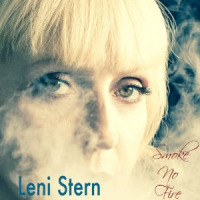 Speaking of fire, usually a title such as that on Leni Stern’s new release invokes a lack on enthusiasm, but it’s actually quite appropriate for a record that smolders instead of combusting. Stern is a renowned blues and jazz guitarist who also loves Malian music. She combines all three on this record, and her playing demonstrates deep understanding of West African rhythms and phrasing. She also dazzles on the banjo-like ngoni. The vocals are less successful, in part because her voice lacks deep resonance of her African backup singers, and in part because the miles are starting to show. But as a meeting place between cultures and styles this recording offers many sublime moments. Most movie fans would pick the shower scene from Psycho as director Alfred Hitchcock’s most horrifying film moment. Maybe, but Hitchcock made his reputation as a master of psychological horror and suspense, not overt bloodiness. He understood that life’s most frightening moments are those in which we don’t know what’s going on and begin to imagine all manner of terrifying possibilities. 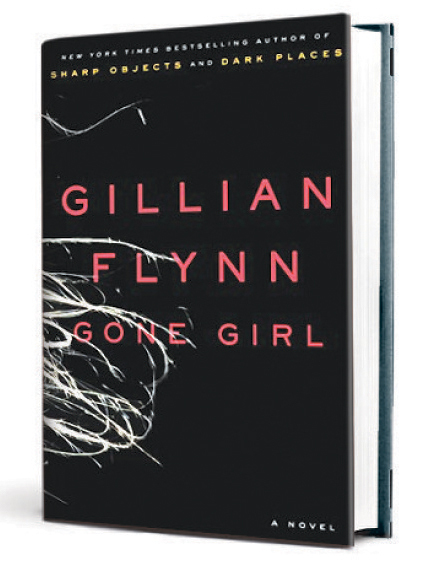 Gillian Flynn’s novel Gone Girl is much in this vein. It’s scarier than anything Stephen King ever wrote, though it’s not a book in which foreboding killers emerge from dark recesses, and the only monsters are internal. An old adage holds that things that look too good to be true probably aren’t. 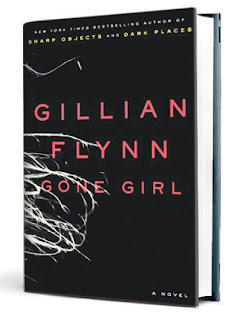 This is certainly the case of Gone Girl’s protagonists Nick and Amy Dunne. Nick is a devastatingly handsome man of simple virtues, and Amy is beautiful and whip smart. In fact, on the surface she is the grown up version of Amazing Amy, the series name of best-selling children’s books penned by her psychologist parents, Rand and Marybeth. Not coincidentally, royalties on those books inflated Amy’s trust fund/dowry. When Nick and Amy marry, it’s like a royal wedding. Replace the castle with a restored Brooklyn brownstone overlooking the Manhattan skyline, and aristocratic hideaways with the limitless glamour available to rich, young New Yorkers madly in love, and the royalty analogy comes into sharper focus. The only problem is that Nick and Amy’s marriage is actually more Charles and Diana than William and Kate. Things begin to unravel when Nick convinces Amy to leave the city and settle into the Dunne family homestead in North Carthage, Missouri, to care for Nick’s mother, who is dying of cancer. North Carthage has already passed on–a Mississippi River corpse just outside of Mark Twain’s boyhood home of Hannibal that can’t even sustain a mall. (It’s likely that the model is Hannibal, as the real Carthage, MO is on the other side of the state near Joplin. It’s also consistent with my observations of today’s Hannibal.) Amy ends up being the solo nursemaid, as Nick and his soul mate sister Margo are busy running a bar purchased with the last of Amy’s trust fund money. We also quickly sense that Amy has grown bored with Nick, who isn’t the sharpest tool in the box. She has nothing to do once Mrs. Dunne passes, and it’s as if she’s an exotic fish gasping for air after jumping from her backwater tank. Nick is oblivious to Amy’s deep unhappiness. On their fifth anniversary, he faithfully fixes her a nice breakfast, trudges off to work, and returns to find her gone. Unraveling Amy’s fate is the core of the novel, and all signs–including a series of enigmatic scavenger hunt clues left by Amy–point to murder at Nick’s hands. What unfolds next is complex and creepy. Whatever you do, do not leaf through the book’s final chapters to find out what happens because the journey on which Flynn takes us is a giant puzzle whose pieces we must assemble one at a time. Don’t trust what you think you see or foresee, as very little is as it seems. This includes the personalities of most of the book’s characters. There are so many red herrings in this book that the reader often experiences existential dread analogous to the viewer of a Hitchcock film. I imagined murder motives running the gamut from Oedipal jealousy to filicide to psychopathic obsession, and I’m not commenting on my sleuthing skills! Let’s just say that truth is elusive, no matter who purports to utter it. Flynn is a talented storyteller, which is essential when your narrative is populated by characters that routinely spin yarns of dubious authenticity. She tantalizes us with clues, adds appropriate touches of humor to keep the tone from becoming too somber, and manages to make even implausible clues seem possible. (That’s another Hitchcock trait!) She also makes us care about or loathe the book’s characters so intensely that we feel the same emotions as they, right down to imagining suitable revenge scenarios. Dustin Hoffman is perhaps the greatest actor of his generation but as a director, he’s no Martin Scorsese. The new British comedy Quartet is akin to having a conversation with a high-IQ slacker–you keep waiting for it to go somewhere, but it never does. It is an unremarkable paint-by-the-numbers vehicle for elderly actors that takes no risks and pulls every punch hence it packs no wallop. Moreover, it’s derivative of many films we’ve seen before, most of them superior. Call it Best Exotic Marigold Hotel set in Buckinghamshire with an operatic soundtrack. 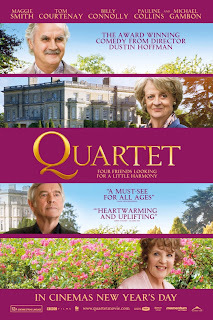 It even has a common link to that film: Maggie Smith. One of my movie-going friends commented that she has Maggie Smith Fatigue–largely because the 78-year-old Dame Smith has been reduced to typecast roles. If you look at what she’s done in the past 15 years, most of it is a variant of her Downton Abbey star cameo turn as the Dowager Countess of Grantham. You know the type–a faded patrician whose aristocratic airs have grown stale, but one that refuses to tamper her egotism or her frosty disdain for perceived social inferiors. Of course, that steely exterior is all surface; inside lurks a woman capable of wit, wisdom, and unexpected compassion. In Quartet Smith’s Dowager Countess is reconfigured as Jean Horton, once the world’s finest operatic soprano. Now she’s old and broke, a charity admission to Beecham House, where past laurels are still good enough to command deference and perquisites. Beecham House is a special place, a former country estate barely hanging on as a retirement home for master musicians. It’s really an assisted living facility, but at least it sings and swings; in other words, Downton Abbey as a stone music box. Jean is thrust into a facility that not only contains her one-time rival, Anne Langley (Gwyneth Jones); but also the first of three husbands, Reginald Pagent (Tom Courtenay); a doting not-quite-peer, Cissy Robson (Pauline Collins); and the rakish Wilf Bond (Billy Connolly). Jean, Reggie, Cissy, and Wilf collectively make up the four greatest opera singers of their generation. Alas, that generation was a long time ago–so far in the past, in fact, that Jean refuses to sing lest it destroy her frozen-in-amber illusion of herself as a global diva. She cannot come to grips with either her mortality, or the reality that few outside of Beecham House and its inner circle of patrons remember who she was. What do we do with this? How do we divert attention from the journey to ashes we all must take? As has been done in numerous movies, we put the institution in peril. Beecham House needs a serious cash infusion or it will fold within six months. Luckily its annual Verdi’s birthday bash is coming up, and wouldn’t the world’s greatest opera quartet be just the thing to fill the hall and shake loose some serious donations? A final curtain call, if you will. If only Jean will agree. There are, of course, complications. Cissy is tottering on the edge of memory no return, Wilf is more interested in sexual scores than those from Verdi, and Reggie and Jean have major unfinished business. You can probably finish the script from there; in fact, you could probably do better than Ronald Harwood’s screenplay. If Hoffman is serious about directing he will need to do more than simply turn loose his actors, superb though they are. These old pros offer some redemption for the uninspired script and laissez-faire direction. Maggie Smith doesn’t just mail in her performance; she’s rather affecting as Jean because, for once, she lets us inside enough to feel her conflicted emotions. Pauline Collins is very solid as Cissy, as she walks a thin line in which her self-control is as thin as her grip on her fading mental faculties. She’s at once fawning, exasperating, and tragic. The vastly underrated Tom Courtenay holds Reggie’s smoldering torch with a shaky determination and is so convincing that he adds dimension to what is essentially an underwritten part. Connolly is our Falstaff–a randy satyr whose minor stroke has robbed him of the few filters he ever possessed. He’s equal parts charming and vulgar. There are also delicious small parts–Sheridan Smith playing the lovely and competent Dr. Lucy Cogan, the director whose whip smart instincts help her keep giant egos in check. Dame Gwyneth Jones is also a delight as the puffed up Anne Langley and is a perfect foil for Smith. Michael Gambon likely had a blast in the role of Cedric Livingston, an insufferable impresario who gets to chew scenery and who must have bribed the costume mistress for his popinjay wardrobe.